Hello. Everyone. Thanks. 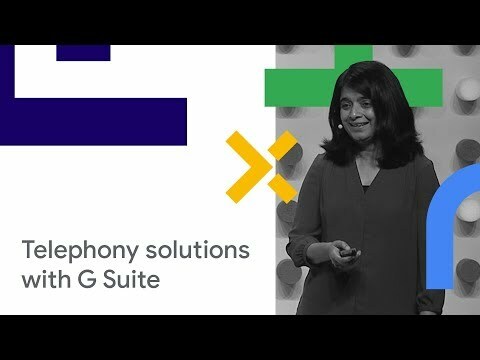 For your time today my name is Smita I'm a product management director, on G suite and, I'm, AJ I'm a product, manager on G suite and we, are here today to talk to you about telephony, in t suite. So. The mission for G suite is, to. Offer intelligent. Productivity. Applications that. Transform, organizations. We. Launched Gmail, way. Back in 2004. We. Actually launched it on April Fool's Day we. Followed, with, Google, Docs in 2006. But. With increasing, number, of remote. Workers. Remote. Workers are projected, to be 50, to 75% of the workforce by, 2020. Lately. We have turned our attention to, communication. Applications, and services. Within. The last year and we have, had several sessions of the on these already we. Have we launched hangouts meet and hangouts. Chat so. More than four million businesses. That are using G suite can, collaborate, and communicate more effectively. But. There is one area which. We have not tackled, yet. So. -. Show of hands, how. Many people in this room had, to get on a call saying within the last week, or so and. It's. A large percentage, of the room and. That. Makes sense, there they're more than 8 billion, phones in the world today there, are more phones than the, number of people. Phones. Continue, to be the, most universal. Way for, us to talk and connect whether, it's to our colleagues. Customers. Friends. Or family. So. Google. Started. In the telephony, business more, than ten years ago so we have been added for quite some time. In. 2007. We. Acquired a company called. Grand Central and the. Goal with Grand Central acquisition. Was, to modernize telephony, we. Wanted to provide users, with a, single, free phone number that they could use from anywhere. We. Wanted users, to be able to make international calls. Affordably. And cheaply. Grand. Central became what you know as Google Voice today. Google. Voice launched, on web, and Android in, 2009. This. Is what Google Voice looked like at that time as you. Can see it looks very different from, the, applications, you see today, but. If you are looking at it and you are thinking that, this looks like the way Gmail, used to look way, back when it launched, that was actually a design choice and. We. Made this design choice because, we wanted for users to be able to navigate their calls and messages, just, as easily, as, they navigate their emails. In. 2010. We, launched an iOS, sonar, we were an iOS Android, as well as web not. Too far apart could have been a few days apart it was there on iOS, as well now. In. 2011. We. Started using Google Voice for. Calling directly within Gmail and we. Launched this in 30 plus countries so. Users all over the world were. Now able to make calls easily. Within Gmail and take advantage of the, international, rates that we offered. In. 2015. Project, file launched, which. Is a mobile carrier and this. Uses the same infrastructure, which, Google Voice uses. In. 2017. We. Refreshed, we completely, revamped, all of our Google Voice clients. Applications. We did this on web, iOS and Android, and the. And google voice continues, to grow there are millions and millions of users now using google voice and they, are very happy with it so. We, don't want to show, you the product in a few minutes but, before I show you the product, I want to ask one more question. How. Many of you here. Work. On phone systems, in your organization, and if, you do work on the phone systems, how, many of you have seen your phone server rooms and do they look something like this. At. Least a few quite a few that's great. So. If you raise your hand and you say it's looking like this you. Are, not alone this, this slide and the previous slide show actual, photos, of. PBX. Rooms or phone server rooms the, way they used to look light at Google. So. As Google was growing and Google, has grown a lot within the last decade or so we, realized we needed to do something different so. In 2012. We. 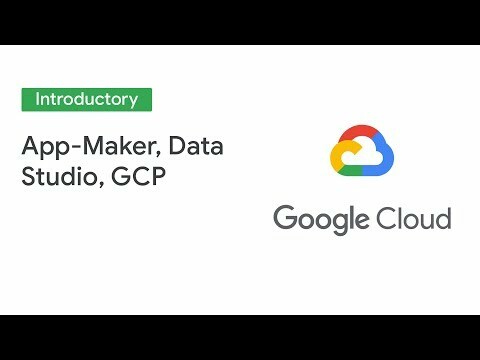 Started a, project called, Google, Voice for Googlers. The. Goal for the project was to move Google telephony, to the cloud so. We have been added for a few years and the. Project, has been really successful at. This. Point. 80. Percent of our phone calls are being made using Google Voice. 97, percent of an on-premise, infrastructure. Is decommissioned. Every. Googler when they join Google get a Google Voice number 80 thousand, good lers are using Google Voice at this time. So. As you can see we have been we, have been working on Google Voice we have been testing it out we, have been deploying it inside Google and that's the same approach which we have taken from. For many of our products including, Gmail. Google. Cloud network today is powering. Millions. Of phone numbers and billions. Of phone calls, so. We are ready to scale and. That, is why and for those of you who when the keynote heard it already we. Are very pleased to announce that, starting today, we, are making a smart, scalable. Simple. Telephony. System available, in the cloud for enterprises. Thank. You. You. Will be able to sign up for the early adopter program starting. Today the, forum opened this morning and we are already seeing a lot of sign, ups coming in so so yes so we are looking forward to working with you. So. With Google Voice, G. Suite completes, his communication, offerings and you will continue to all there we have a lot of work to do here it joins. Hangouts. Meet, which. Is for high, definition video. Meetings it joins, hangouts, chat for. Enterprise communications, hangouts. Meet hardware, which, is a way to scale deploy, meeting. Rooms and then, jam board which is a product for global real time brainstorming. All. Of these products, have been designed to be on the, cloud from day one they are native to the cloud and Google. Voice is no different. So. With that I'm. Going to invite a J who is going to tell you more about the product. Thank. Smitha. I'm really excited I've. Been a Google Voice user for. Many years myself so I'm really excited to have been working on this product for the last year. As. We, outlined earlier Google. Voice is available, on Android, iOS, and web and, as. We bring it to G suite we're, gonna be adding. Support for desk phones as well and, we. Really think being, born in the cloud this, is the right foundation, for a product meant. To serve today's, workers where, people are no longer sitting at their desk they're. Working from home they're, traveling they're, working with colleagues across the world so. Voice truly, gives you a number that's. Not tied to a device so, you can access it from anywhere. Voice. Puts users in control to. Let them customize, and tailor the, product to suit their needs for. Example they, can choose which, devices, to, ring when they get incoming, calls, they. Can even have, calls sent. To other phone numbers such, as their home numbers and the. Underlying point here is that customizing. A product is only truly possible, by the users that use them and, IT. Admins. Can, benefit, from features, like this to, save time we, all know that IT resources at, big, organizations, are in short supply. Speaking. Of being in control, voice. Puts users and control over the, resource that's most precious, to all of us our, time. Voice. Integrates, with Google Calendar, so that, you can have calls, automatically. Sent to voicemail, when. You're out of office or not working. And. Since. No one or, almost no one I should say likes, listening to voicemail, voice, has best-in-class. Built-in. Transcription, so, you don't have to listen to it voicemail. Transcripts, are delivered. Right to all of the Google Voice apps, you. Can even have voicemail transcripts, sent, directly, to your Gmail inbox. As. Internet-based. And, VoIP based calling service has become more and more common so. Is the incidence, of spam, and robo calls and, a. Lot of times when you see an unknown phone number it's, annoying and you don't want to pick it up so. Voice has built-in, smart, spam detection, powered. By Google's AI of course and which. Means it's getting better over time. This. Technology is shared with our mobile carrier project Phi with smitten which Smith, outlined earlier. It's. Also shipped. On millions, of Android devices, along, with our phone app and the. User experience, you see in Google Voice is pretty similar to what, you might expect or you, might have seen in Gmail if we, detect, that a phone call is spam the. User never has to interact with it and it goes directly, to voicemail and. Finally. As we bring Google Voice into G suite what we're trying to do is bring, context. Into phone calls so. Users can say stay more, octave. So. We're, starting, this with hangouts meet, when. Meetings call a google voice user will. Include. Important. Details from, the meeting such, as the meeting title on the. Caller ID so. You're prepared before you pick up that important, phone call. So. We've talked a little bit about the user experience let's, jump into how. Voice, is managed. Just. Like the rest of G suite the. Admin, console, consolidates. Everything. About the voice service, user. Management, number. Management, porting. Reporting. And subscription, management and the. Best part is you. Can provision a single user or, your entire organization, just. As easily as adding, users to G suite. Smitha. Talked earlier about how. Many phone numbers there are out there and the fact that telephony, is not new we, all use phones today that. Means migrating. To cloud means. You have important, business processes. That might be set up around, these phone numbers in, your organization's. So. We're thinking, hard about this and making sure that as you move to cloud these. Processes, don't, get interrupted and your transition, is seamless. So. To summarize Before, we jump into a demo, voice. Is simple, smart. And scalable. Admins. For admins, the. G suite admin console, consolidates. Everything. About managing. The service and, it's. Consistent. With the way you manage all, of your other G Suite applications. End-users, get an user experience, that's consistent, with the other apps they're already using at work and, they. Can tailor and customize, the product to suit their workflows. Voice. Is smart. We. Have Google a I powered, spam filtering, and voice mail transcription, built in and we're. Trying to leverage the best of Google's intelligence. And machine learning to, make the product even better for users, when. We're starting with, integrate, with hangouts meet and calendar, but, there's a lot more to come. Finally. Voice is scalable we. Take on the heavy lifting, of letting, you provision, and manage the service across your organization, so you don't have to and. With. Permission you, can even let users set. The service up themselves for, example by choosing a phone, number independently. So. We've, talked a lot about it let's jump into a demo. So. We are going to start by showing you the administrator experience. And as I refer to this earlier so what you are looking at right now is, the G suite admin console so. This should look this. Should look familiar to, those of you who are used to G. Suite administration. And, Google. Voice Administration. Is inbuilt into this so that's where you go to manage the entire voice experience. So. The so the users you're looking at over here have already been set up with the Google Voice service and a, Gillette show how, numbers. Can be provisioned so let's start with me, Smith ER and AJ is going to provision me so all he did was he clicked, on the count and he. Clicks on that and a number is assigned. Automatically. If he wanted he could have changed that number but he doesn't need to the. Other piece of information is, he's, entering, is the emergency, address, no. I don't live at Google but I don't want to put my home address over here but, it does validate, it in line and, now. You can see that, I'm set up and that's, it what will happen now is I'll get an email telling me, what my phone number is and you, give me it will tell me that I need to go and get the Google Voice clients. On whichever device amount, and then I'm ready to go with the work number which. I have been provisioned, with, so. This was for a single user and let us show how it works for multiple users. Ok. So as you can see I just selected, multiple users, you could have selected as many as he wanted and then, when he clicks on it he can again provision, them really easily as easily, as he would provision, a single you, so. AJ Let's also show some, of the other functionality. Let's show the the, batch assignment, as well okay. So here, AJ is going to go into, batch, assign which, lets you provision, a whole spreadsheet, of users at the same time, so. This is powered, by Google sheets we, provide a template, and let's, show you the template. So. What you're looking at over here is a, sheet, which AJ had previously. He. Had, said. He had put a set of users and the. Addresses and yet submitted it there. Were errors in the sheet so, the cool thing is that automatically. The system, reports. Back in the sheet what the errors are and he. Can edit and correct these errors and, he can submit the same sheet back so, it's a very simple process, for for. An administrator, to go and setup larger. Number of users and be able to correct any errors they might have made in the process. We. Are also, working, on api's, for, provisioning, so those will also be available over time. There's. One more function let's also show as I had mentioned earlier that if administrators. Want they, can let users select their phone numbers themselves if, they choose to do so in the saving some of their own time in the process and so. What AJ did over here was he clicked on the send and white and these, are users that have not been provisioned. With their phone numbers and once he does that then. At that point invitations, are sent out and unlike. The mail which I would have received because as you had provisioned, my number in this, case users. Go into the voice application. And they are prompted to select their own number so. Again if you want you could give that control, or function ID to the user so, it's up to the administrator, and save your own time and users, users, can do that, okay. So. So. That was a look at all the ways you can provision users and how you can do them very simply, and easily within the G suite administrative. Console this, is also the one-stop shop where we go, to port numbers so, as an organization everyone. Already has four numbers so you can port them here this is also where you will go to look at reports, manage. The users, so this is going to be one-stop-shop, for managing, all of the voice services, all in the cloud all as, part of the G suite admin console. So. Shall we let's, switch and show the. Client functionality, or. The end-user functionality, so, here is what you are looking at is the employee experience which is what your users will see so, here you're looking at the web application. So. This is as you can see it's it's it's a full experience you, see calls, you, see messages you. See voicemail, so, you have all of that let's. Also, let's. Look at the settings so. We can show how users can customize their experience using Google, Voice. So. Within. Settings and again as you had mentioned users, can set up voice the way they want to use it and because, it's in the cloud they have a lot of flexibility, so. Here what you can see is that a Jai, has multiple, devices set, up so. He has a he has where. He has a couple of Android devices if he wanted he could have had, an iOS device as well so he can set up as many devices as he wants and on, all of these devices he'll. Be able to make, calls as well as receive calls. Then. For further customization. I'll, fall. Further setting, up voice in the way he wants it he could choose to forward voice to any phone number so, for example he could choose and you see there's a forwarding phone number set up and I'm. Told it's his girlfriend's, number so he should be calling there but anyway so you know so so, that is been set up where things, can be forwarded, so, this could be his home phone number if I'm at home then it can be forwarded that. So. Let us you. Know so let us yeah let's let's go ahead and and record, a voicemail greeting. Hi. This is AJ we have, just launched, voice I'll. Be on vacation for the next week so direct, all questions to, Smitha. I'm. Glad I know. Yeah. But I just worked very very hard on this on this launch he deserves to go on his vacation so, he, can go ahead this, can become one of his standard greetings, and because. Voice is on the cloud he can save multiple greetings, and he can switch between away. And homeward. Or any other Lord he wants at any time. So. There he's yeah so he set up so, AJ, has worked, hard. And the last thing which he wants, is when, he's out he does not want me to call him or if I call him he doesn't want to pick up the call, so. Luckily voice, is integrated. Google, voice comes with integration, with Google Calendar which. Means that, he can set up his Google Voice to follow his calendar settings. So. Calendar, so. He can he can set up so, that Google Voice can follow his out of office settings as, well. As his working. Hours so at this time if someone. Tries to call him the, call is going to go to voicemail, his phones are not going to ring so. As you can see with Google Voice then your users can disconnect, when, they need to and refresh, themselves getting. The much-needed work-life balance which, they need. Yeah. So I think, that's what we wanted to show on the on the web client. Shall. 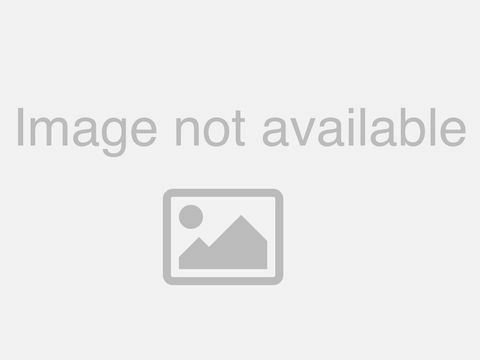 We go and switch to the wolffish in now and show the. Android. Client yeah okay, so. Let us switch to the wolffish okay we are here so, what you're looking at over here is an android client and. The. Thing to note over here is this is the same phone which, AJ has for, his personal, use so. Like all of us. AJ. Does not want to carry two phones one for personal use and one. For work use but, he does want to separate phone numbers one, for work use and one for his personal use so with Google Voice you can do that and. As. You, can imagine that, the, Google Voice application, which you're looking at comes with full Enterprise functionality. So. AJ can, search the, company directory, and here he, found me and this is the number which he had just provisioned, so it works pretty fast so, he found me and I am over here we. Are not going to make a call using the number right now but, I do want to note that in the, background we share a lot of the technologies. Which. For, for for calling with Google meet with. With hangouts me, which means that highest quality, codec is going to be selected, which is available to, both endpoints at any time we. Share technologies. For network. Congestion packet. Oh ok so and we, are getting a call and the, call is a. Hangouts meet call which is launched review, we. Are launched, so, the team is the, team did not get the memo we are going to ignore the call but, this is an example, of how, hangouts. Meet. Integrates. With Google Voice so, you saw the Google Calendar integration. And this is the hangouts meet integration, and as, you can see because them, because the caller ID showed the name of the of the meeting users, now have this context, when they are picking up their phone call they know which meeting is calling them so they are more prepared and they can save precious time and they, can be they can they. Know what they are getting into so they don't have to jump into a big meeting without doing it's actually meeting calling them or if it's an important, meeting and they see the name of the meeting they know they should pick it up and they should respond to it. So. That was a quick look at Google Voice the. Administrative. Interface as well as the user experience, and I, hope some of this is illustrating. To you how, with Google Voice you. Can make your organization's, more productive, you can give your employees but, control which they need and you and how, you can manage your telephony, solution in a much very, simple and scalable, way, so. With that I'm going to invite AJ, back again, to take control of the presentation, and he's going to talk to you about what we have been doing in terms of testing as well, as how to sign up for the beta and the roadmap ahead, thank, you Smith again. So. We're. Excited to tell, you that all the functionality you saw a. Lot, of the functionality you've, seen has, been in testing. With our early, customers since last October, and we'd. Like to thank all of the customers, for giving us feedback, during, this process as a product, team it really helps us learn, how. You deploy, the service and from your use cases which, helps us build a better product for you, our customers so, I wanted to share a little bit of the feedback we've been hearing, and. Of course we welcome additional. Feedback as we when a PAP starting today. Dow, Jones was one of our early customers. They've. Been on the product since October, they, actually were using Google Voice in. An office even before we started making. The service a managed product that, you see today and. They were excited about the consistency that Google Voice has brought to. Their telephony. Nielsen. Started. Using it around the same time and. They, experienced. Benefits. And quality and reliability, to. The extent that they've decided to leverage. Voice as. A standard, for a remote worker telephony. Across their their company and, the. Final. One I wanted to highlight is Portland, State University. We, know that education is. A big use case for G suite and we have tons and tons of education customers and we, wanted to make sure we listened to carefully to feedback to. Ensure that we are catering, to unique, use cases in the education, space so, thank you to all these customers, who have given us feedback. So. EAP. Signups. Start today, and. We will be providing numbers. In ten countries and this. Is just a start. Voice, we. Intend for voice to be a global, service so, we'll be incrementally, expanding, to additional, countries, in stages. To. Talk a little bit but about pricing. Voice. Will be subscription-based, on. Top of G suite will, have multiple tiers, that are priced per seat per month. Will. Have per. Minute calling, rates as. We do today with Google Voice as. Well as calling, packages, that group. Sets. Of countries, and, minute minutes, together, you'll, also be able to purchase additional numbers, such as toll-free numbers, if you, need that. The. EAP sign, up the, beta program that starts today, is. Free of charge and we will start billing at general. Availability. Jumping, a little bit into, the roadmap. The. Left-hand column that you see today pretty, much summarizes, what you've seen from the product overview and the demo we just walk through so. I'd like to tell you a little bit about our ga in spring, and then directionally. After, later. In in 2019. Our. Major focuses, for GA, are, starting. PBX, functionality, will start rolling out auto attendant and desk phone support and. The. Other big piece will be making, Google Voice a core service so, we'll come with the same SLA, that you're used to with with. The rest of G suite and, that's. When billing, will start. In. The second half of the year we'll, continue to expand the feature set we include, in our PBX, so starting with ring groups and support for more phones the. Other major piece we'll be focusing, on is that we know for larger organizations you. Need flexibility. And capability, to manage the service at scale so we'll be adding, administration. And provisioning, API is, over. Over time as well. You. There will be some time before it has the capabilities of larger phone systems (from what I have heard\seen and know) today. When it can compete with Avaya IPO (or outdo them on options) then I will be very interested. What is the cost per\person? Do you have to be a specific G-Suit user, or does it work with all levels (Basic\Business\Enterprise)? When will desktop business phones be enabled, and what manufacturers will be offered? Can you use your current business phone numbers? Did you watch the video? Most of those questions where answered. Currently you can't add Google Voice to Android devices that subscribe to Project Fi. Hopefully this issue will be resolved soon. The capability of provisioning user telephony from within G Suite is fabulous. However significant parts of telephony are not user-centric but role and team centric. This may well require the ability to create non-user identities for telephony - not dissimilar to "Groups" which individuals can join and the ability to create pathway logic between groups as part of "call flow" that full feature unified comms solution provider. So good progress toward the minimum requirements for many companies require but some key building blocks still to come. We need the ability to automatically record and log calls for us to make the switch. When will Voice be added to G Suite?